DuraVane RVR series high vacuum lubricated rotary vane pumps are capable of pressures down to .075 Torr with partial final pressure down to .0038 Torr-McLeod. The pumps feature a compact design with very quiet operation. Typical applications include refrigeration, air conditioning and other high vacuum requirements. 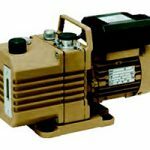 DuraVane RVH series high vacuum lubricated rotary vane pumps are capable of pressures down to .0038 Torr with partial final pressure down to .00038 Torr-McLeod. 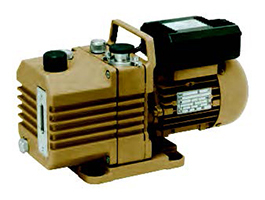 The pumps feature a compact design with very quiet operation. Typical applications include laboratories and other high vacuum requirements.